Welding is a manufacturing process that joins two or more materials by application of heat or with pressure, with or without filler metals. Just joining the two members is not enough to with stands the loads for longer time. Hence it is necessary to prove that a welding procedure meets the quality standards and also to ensure the welder is capable of producing defect fee welds. It is a document that describes how welding is to be carried out in production. Its purpose is to aid the planning and quality control of the welding operation. They are recommended for all welding operations and most application codes and standards make them mandatory. According to AWS D1.1 whereby it is established that the WPS written per code will produce welds with correct mechanical and metallurgical properties. It is not necessary to prepare a PQR in such cases. However, the pre-qualified WPS have a specified range of parameters under which the weld must be produced. When welding variables fall outside these ranges, a WPS with supporting PQR must be prepared. It is required when it is necessary to demonstrate that your company has the ability to produce welds possessing the correct mechanical and metallurgical properties. 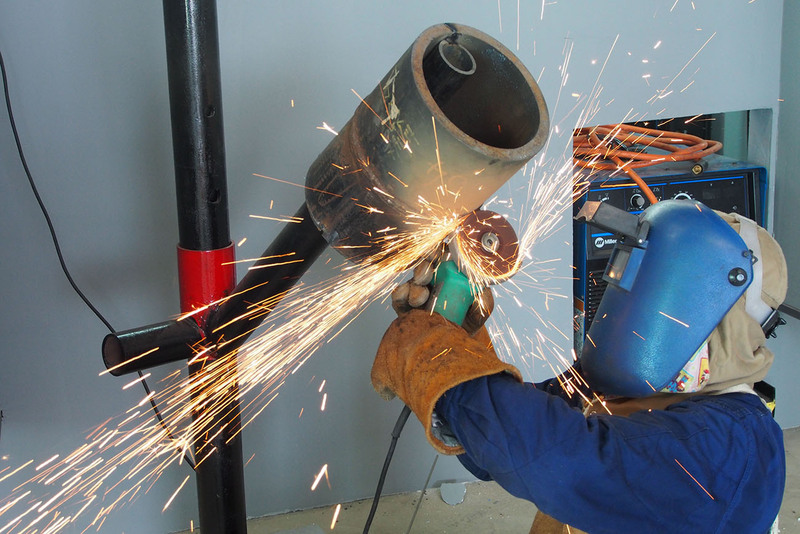 Once the procedure is approved it is necessary to demonstrate that all your welders working to it have the required knowledge and skill to put down a clean sound weld. If the welder has satisfactorily completed the procedure test, then he is automatically approved but each additional welder must be approved by completing an approval test to an appropriate standard. After successfully completion of Test UIC will provide Welder qualification test certificate(WQT) & Welder Card. UIC is well equipped with experienced and certified welding inspectors, welding engineers and welding experts to perform various welding related inspections activities. The team consists of AWS-CWI, CSWIP, internationally certified welding inspectors having vast field experience in welding with leading fabrication companies and third party inspection companies in KSA and abroad. •	To give maximum confidence that the welds mechanical and metallurgical properties meet the requirements of the applicable code/specification. 7. Conducting AWS-CWI and other welding inspector certification(CSWIP) exam preparatory courses. WQT/PQR/WPS services throughout KSA with branches in RIYADH, JIZAN, TURAIF, JEDDAH, YANBU & head office at JUABIL.